How to get more reviews, reservations and REVENUE! Don’t leave your success up to the critics – Reviews Matter! Did you know that 95% of people read a review before making a decision on their travel plans? Although staggering, this statistic is not hard to believe in today’s highly competitive digital marketplace. So how can you secure a seat at the top? Welcome to Review My Room; the review collection tool designed to get more 5 star reviews…guaranteed! The proof is in the continental breakfast– Review My Room Works! Don’t leave it up to chance, make review collection a priority and let Review My Room do the work for you. With it’s easy to use dashboard, Review My Room ensures that positive reviews are published online in just 2 clicks. How can positive reviews help your hotel? Hotels with higher rankings see 4-6% higher bookings than other properties and most importantly customers are willing to pay more for a room at a hotel with higher rankings. Where does Review my Room come in? Review My Room will guarantee 8-10 positive reviews per month across public review sites such as TripAdvisor and as we mentioned earlier, 95% of travelers reference these reviews when booking upcoming travel plans. Clients who have used Review My Room have noticed a 20-40% increase in positive reviews in just under 3 months and 40-50% of reservations are due to these positive reviews! 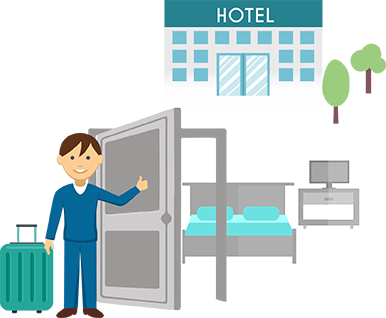 Hotels that use Review My Room also have more than 10% occupancy vs. competitive hotels in their tier. Review my Room can help get you the exposure you need to increase online revenues and shine in the virtual marketplace. At just $200 a month, no contracts, no commitments, you can’t afford not to sign up! Call us today for a free demo and learn about our special introductory offer. Review My Room is THE review collection tool. Review My Room, we get you reviews, you get reservations. So You Received a Negative Review…….